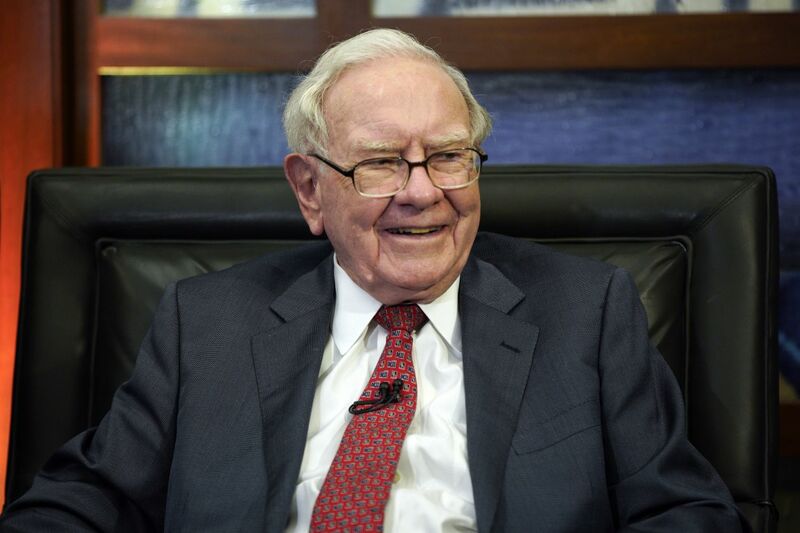 Berkshire Hathaway Inc. BRK.B repurchased $928 million of its stock in the third quarter, a rare move that indicates Chairman Warren Buffett sees a dearth of appealing investment options for his company’s large cash pile. “What the buybacks signal, in a very big way, is that [Mr. Buffett’s] short list of putting prospective billions to work, either in private businesses or equities, outside of Apple, are nil,” said David Rolfe, chief investment officer of Wedgewood Partners Inc. in St. Louis, which owns Berkshire shares. Though Berkshire’s buybacks were small relative to its balance sheet, they represent a shift in the company’s willingness to return cash to investors. In 2012, Berkshire bought back about $1.3 billion in stock, mostly from one longtime shareholder. Mr. Buffett has long argued that he could better increase shareholder value through investments than through buybacks or dividends. But pressure to buy back more stock has mounted in recent years as Berkshire’s cash pile has grown. The Omaha, Neb., conglomerate held $103.6 billion in cash at the end of September, down from $111 billion at midyear, the company said Saturday. U.S. companies are buying back record amounts of stock this year following the tax-law overhaul. Berkshire said Saturday that its third-quarter net earnings soared, boosted by unrealized gains in its equity investments. Berkshire reported net earnings of $18.54 billion, or $11,280 per class A share equivalent, from $4.07 billion, or $2,473 a share, in the year-earlier period. Berkshire’s earnings are volatile due to an accounting rule that went into effect this year requiring companies to include unrealized investment gains or losses in their net income. Quarterly changes in the value of Berkshire’s stock investments can have a big effect on its net income. Operating earnings, which exclude some investment results, rose to $6.88 billion from $3.44 billion in the year prior. Mr. Buffett has said operating earnings are more reflective of Berkshire’s performance. Mr. Buffett, 88 years old, has grown Berkshire over more than 50 years from a New England textiles business into a massive conglomerate that sells candy, car insurance, encyclopedias and diamonds, among other products. Mr. Buffett acts as chief executive and oversees most of the company’s investments. But a younger generation of executives handles many of the company’s day-to-day operations. Mr. Buffett’s eventual successor as chief executive hasn’t been announced, but it is expected to be either Ajit Jain or Greg Abel, both of whom are vice chairmen of the company. Berkshire changed its buyback policy in July. Previously the company could repurchase shares if the stock price was below 120% of book value. Under the new policy, Berkshire can buy back shares if Mr. Buffett and his business partner Charlie Munger believe that the stock price is below Berkshire’s intrinsic value. Messrs. Buffett and Munger don’t tell shareholders their estimate of Berkshire’s intrinsic value. Mr. Buffett has said the company’s book value is a less helpful metric than it used to be because Berkshire has shifted its focus toward operating businesses rather than stock investments. Berkshire bought back shares at an average price of $312,806.74 per A share and $207.09 per B share. The company’s shares traded below those levels in recent weeks, though Berkshire isn’t expected to report any fourth-quarter share repurchases until next year. Mr. Buffett has cautioned shareholders in the past that there is no price at which he would definitely repurchase shares. Buybacks can be controversial, as critics have said the cash spent on repurchases can be better used on capital expenses or employee wages. Mr. Buffett defended buybacks in his 2016 letter to shareholders. Buybacks are a plus for long-term shareholders as long as a company’s shares are undervalued, he said. “The question of whether a repurchase action is value-enhancing or value-destroying for continuing shareholders is entirely purchase-price dependent,” he said. Book value rose to $228,712 a Class A equivalent share as of Sept. 30, an 8% increase for the first nine months of the year. Last year, Berkshire reported a 8.9% increase in book value for the comparable nine-month period. Class A shares closed Friday at $308,411, up 3.6% for the year. In recent months, Berkshire has invested about $600 million two big financial-technology companies focused on emerging markets. The deals were led by Todd Combs, one of Berkshire’s two portfolio managers.